With the tramway up and running and the roads and plots laid out, Camps Bay under Cape Marine Suburbs seemed set to become the centre of a property boom. After the Jameson raid and the South African War, refugees from the Traansvaal flocked to Cape Town. Buildings were erected and land was bought, but the war ended and the refugees returned to the Traansvaal. Property sales were in the dolrums and those who remained there prefered to live close to their work. 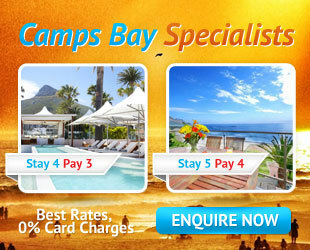 Camps Bay became once more a resort with holiday bungalows for summer residents. The Wernich farmhouse later became the holiday home of British Governors, including Lord Charles Somerset. By the late 1920s Camps Bay was in the doldrums, few houses had been sold and the syndicate involved in planning the suburb had gone insolvent. Isidore Cohen had the vision to see that Camps Bay could become more than just a summer place with tents and bungalows. He realized that the city, hemmed in by mountains and sea, had to develop outwards, particularly along the Atlantic Seaboard. Camps Bay was then a sandy waste, covered by bush and blasted by the South-East and North-West winds. But, it nestled beneath the soaring grandeur of the Twelve Apostles and was one of the loveliest spots in the Cape Peninsula. Everything was done to make the township desirable, roads were put in place by the company and it was made very easy to acquire a house in the suburb, where everything would be done for you; including building, water and electricity. You would also not have to layout the money or pay a deposit, instead a monthly sum which would be considerably less than rent would be paid and in 10 – 15 years the house would be yours. Soon it was only the foolish who regarded Camps Bay as a windswept waste and with conditions such as these to tempt prospective home owners, Cohens confidence in the suburb was fully justified and Camps Bay became the In Place. Roads zigzagged up the mountainsides, houses sprang up. People were living there, and not only for six weeks in summer. With the availability of motor transport and good roads, Cape Town was near and accessible, both for shopping and work. And after work there was the beautiful coastline fringed by Mr. Farquars palm trees where the family could go and relax. A haven to live in ! When the home owners learnt that the council had granted approval for a seven storey block of flats, on the site of the Marine Hotel, the Camps Bay residents were up in arms. With the possibility of Camps Bay becoming like a Sea Point or Durban, the Ratepayers organised a meeting and they turned out en masse. As a result of the meeting no homes or beachfront property may be developed over three storeys in Camps Bay. As a result of the meeting no homes or beachfront property may be developed over three storeys in Camps Bay. Exhilirated by their victory a committee was set up and ensures that future developments will not spoil the natural beauty of the suburbs unique seafront.